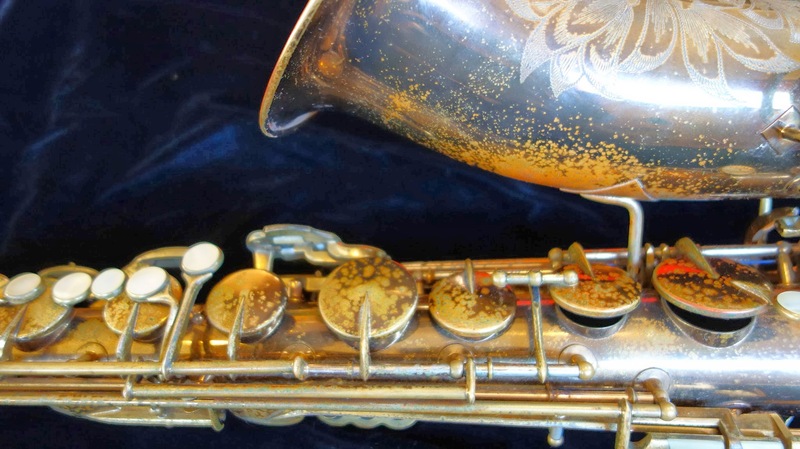 1941 King Zephyr Special Tenor. 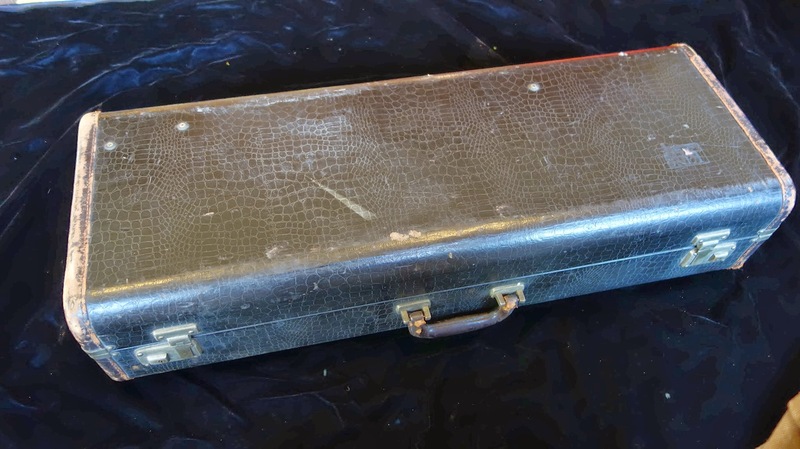 Photos above are pre-overhaul. 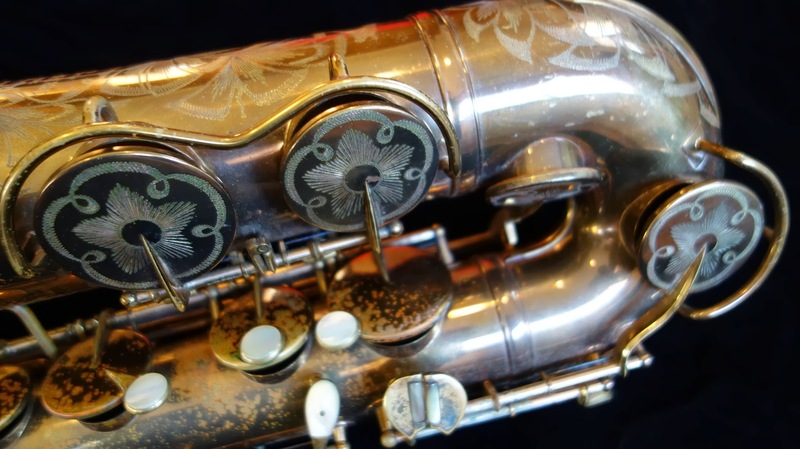 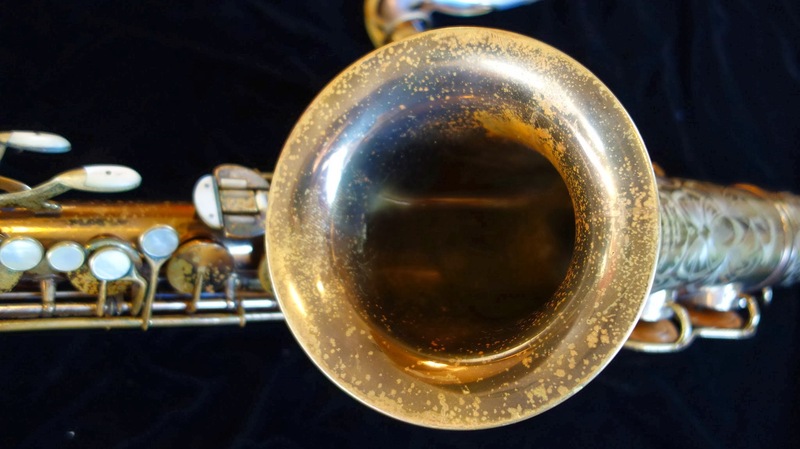 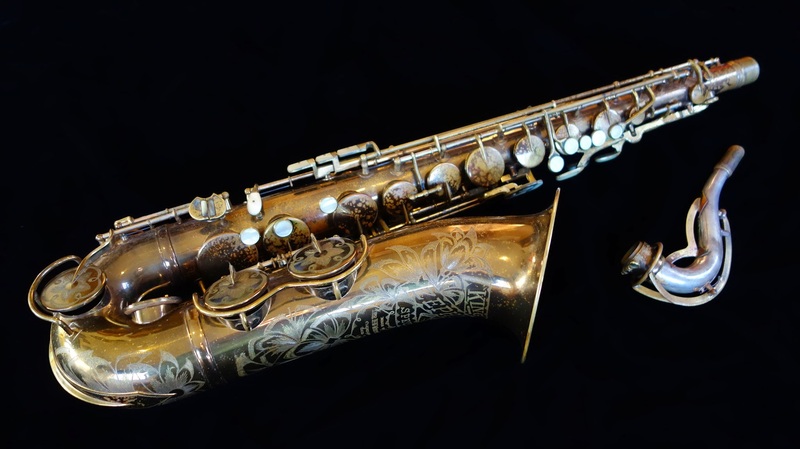 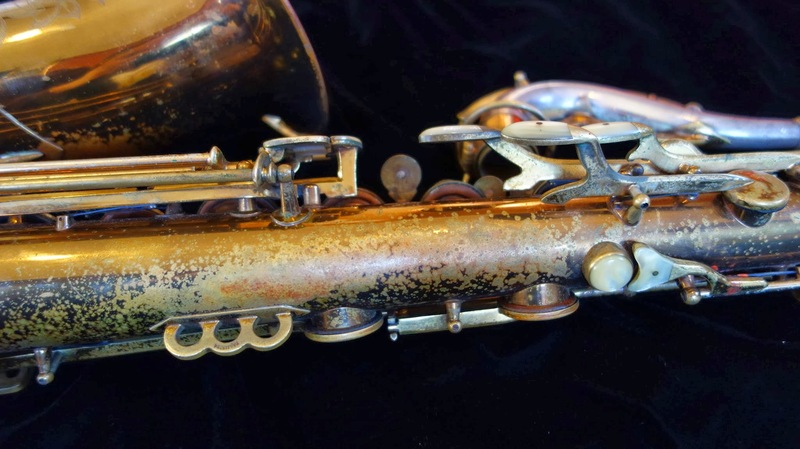 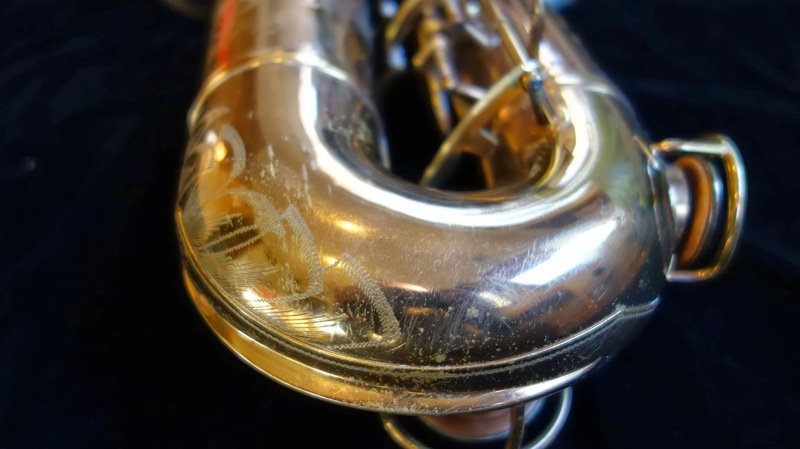 This saxophone was reserved prior to overhaul, and received a restoration customized to its new owner’s specifications. 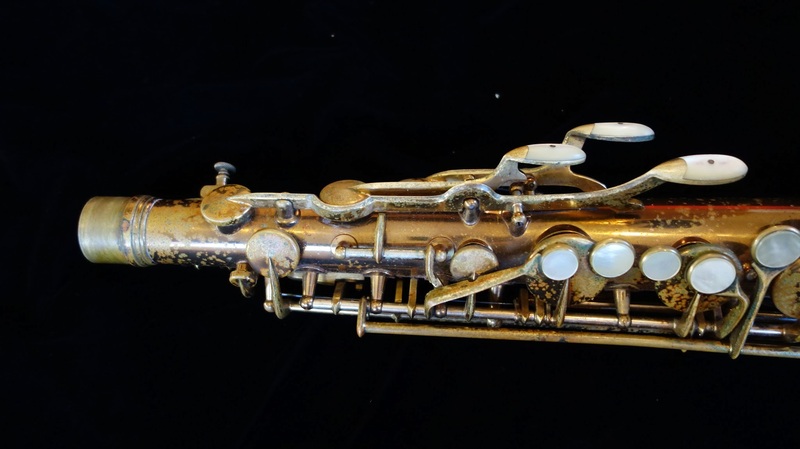 This is a 1941/42 King Zephyr Special tenor saxophone, which came to me with most of its original pads. 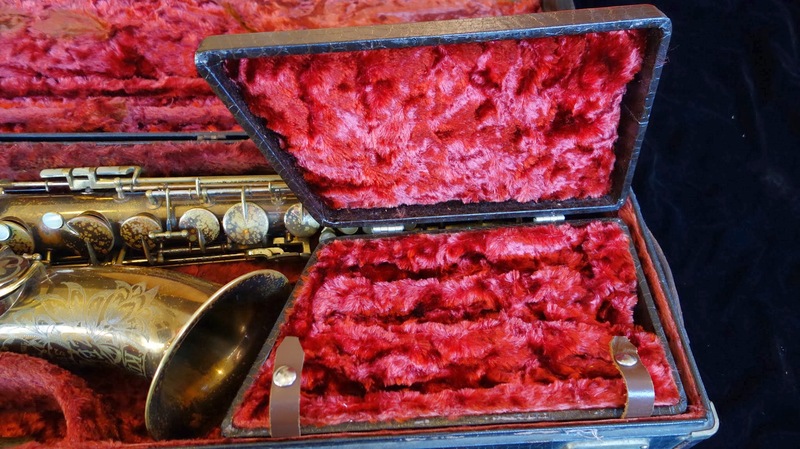 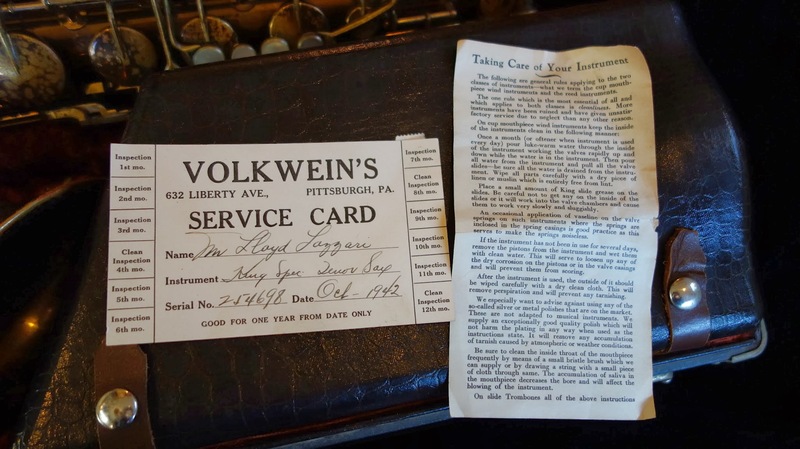 It is in incredibly clean original condition for a pre-war King, and comes in its original heavy tri-pack case its original warranty paperwork from its sale in November 1942 at Volkwein’s Music in Pittsburg. 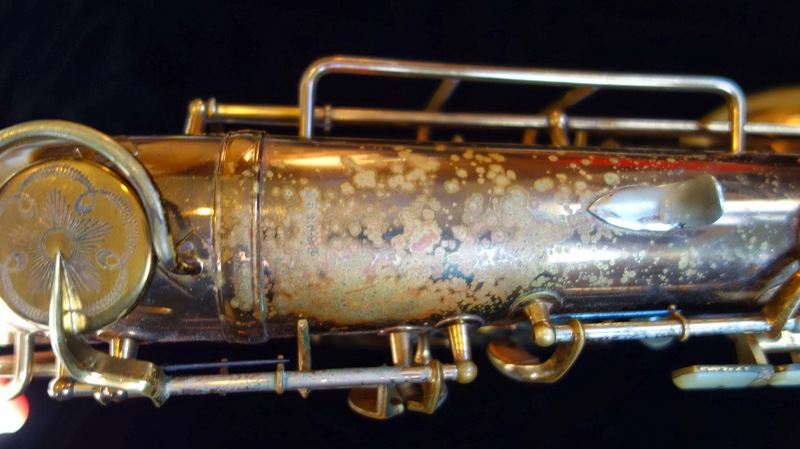 The original lacquer has some speckling, which is par for the course for the notoriously delicate pre-war King lacquer. 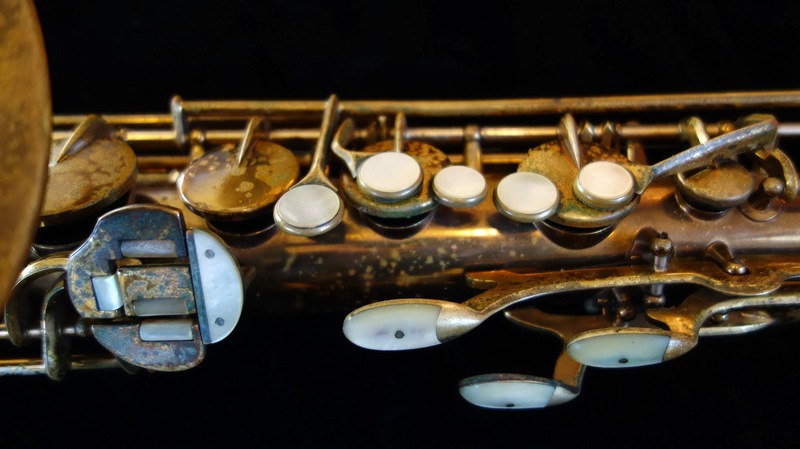 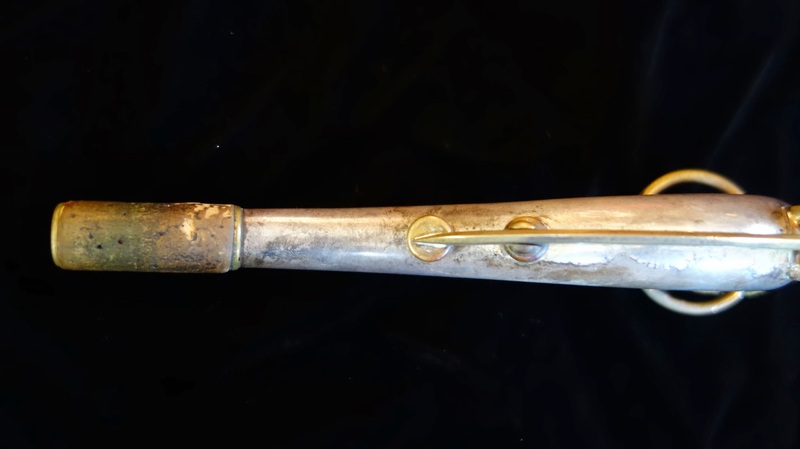 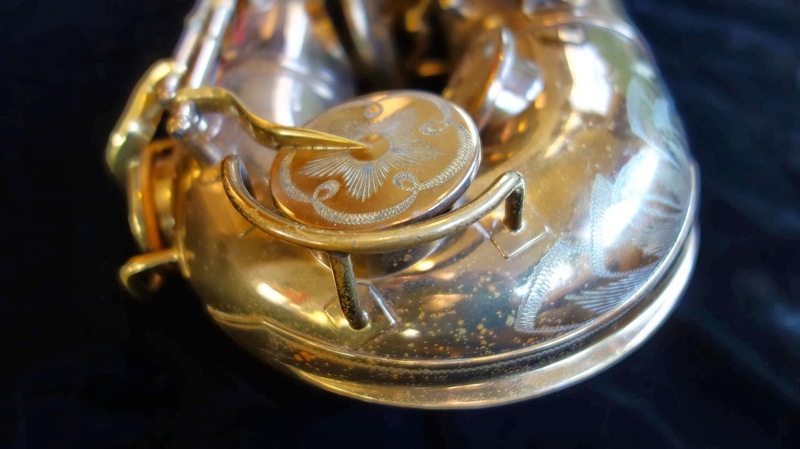 The instrument itself is in nearly unblemished physical condition, with only a few scratches and no dents or dings (repaired or otherwise) to show for its 70+ years of existence. 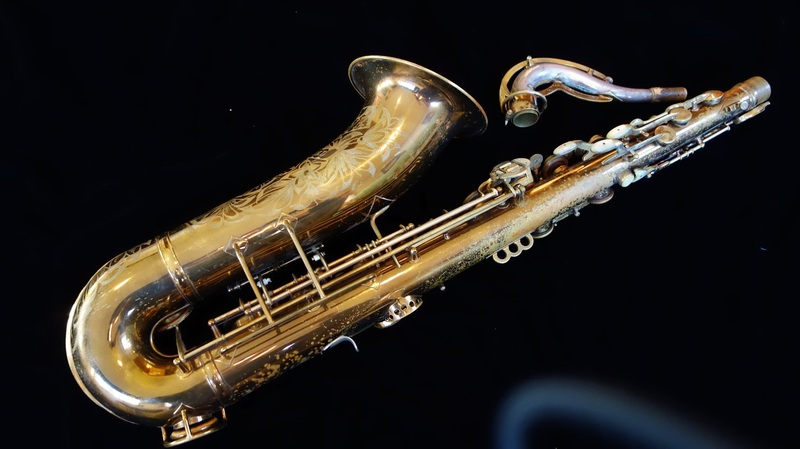 The King Zephyr Special is one of my favorite saxophones, and a relatively unknown model that was the father of the famed King Super 20. 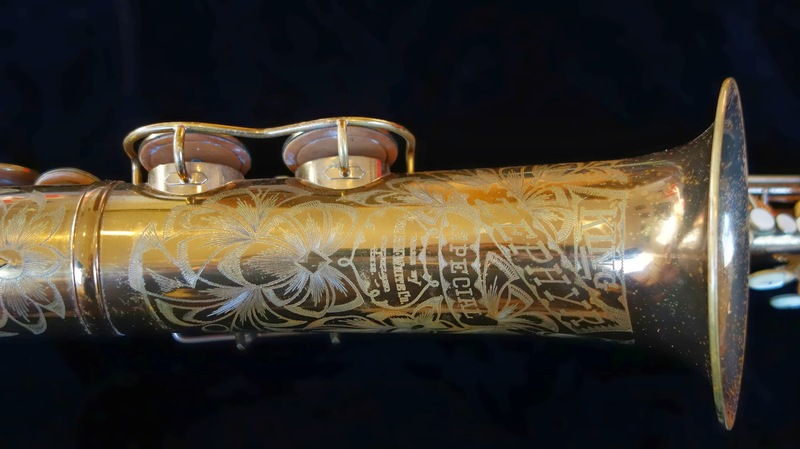 These beautiful instruments were made for only a few short years prior to World War II, from 1937-1941/42 (for the war effort, King stopped making musical instruments and made radar units and fuses). 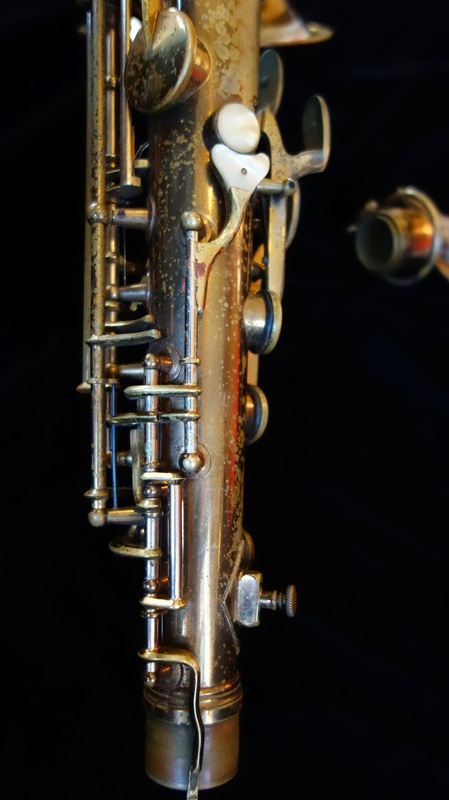 The solid sterling silver neck first appeared on the Zephyr Special, and indeed the first run of Super 20s (which came post-war after musical instrument production resumed) strongly resembles the Zephyr Special keywork. 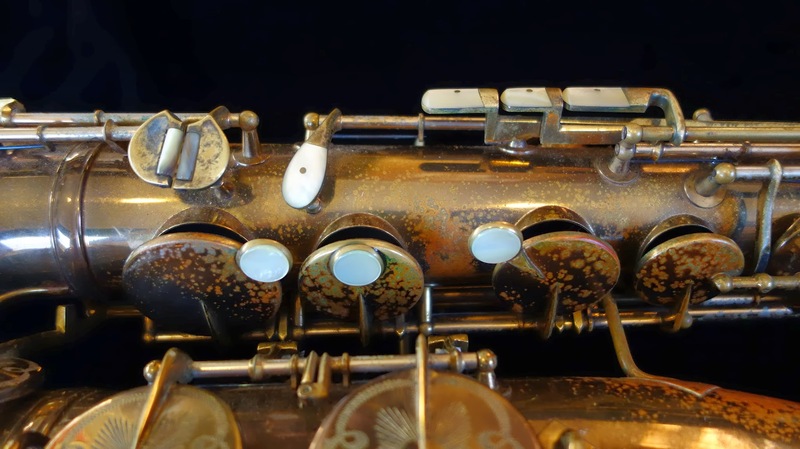 The tone of a Zephyr Special is much like the Super 20, except more compact, darker, and more focused. 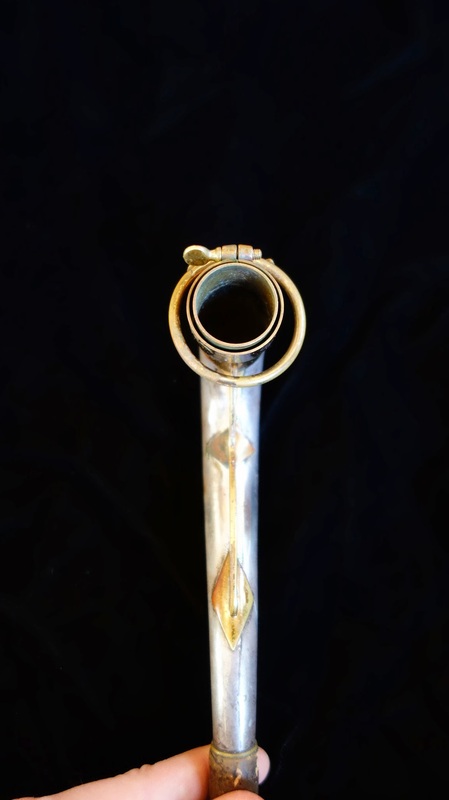 The keywork is extremely comfortable, with large pearls and light spring tensions giving the instrument (when set up well) a nearly flute-like facility under the fingers. 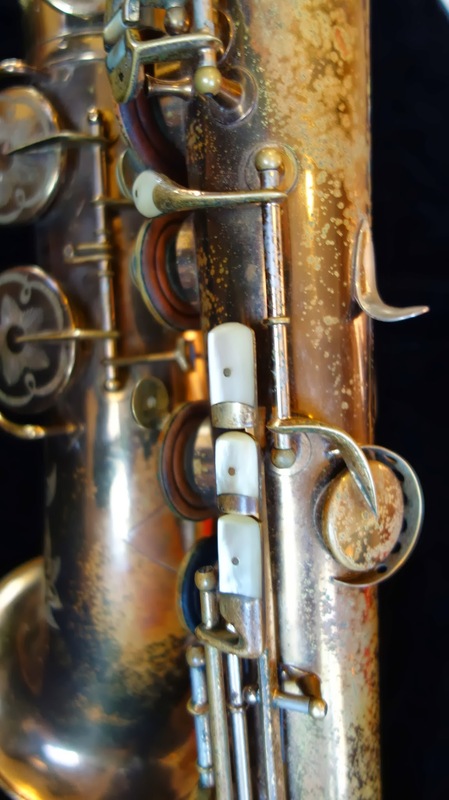 Intonation is very good, response is quick and even, and the ergonomics are very close to modern and very easy to get used to, with the possible exception of a rather stiff low C# due to a short leverage on the C# touchpiece actuating the C# and the articulated G#. 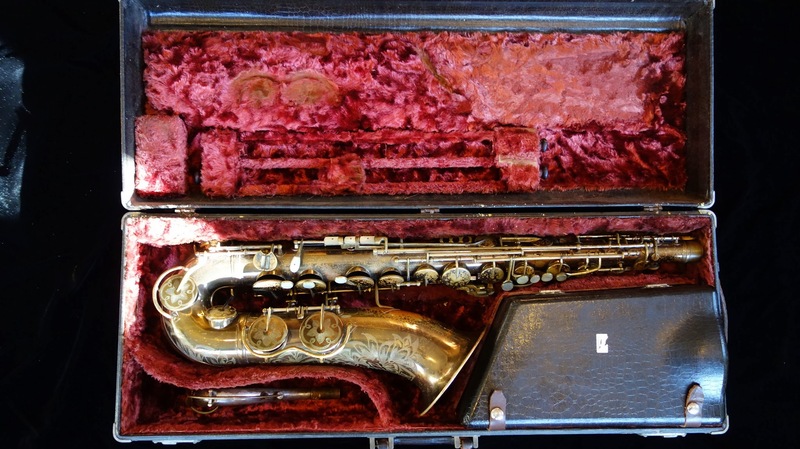 This saxophone will receive a full overhaul including a complete mechanical rebuild of the keywork, and it will arrive at your doorstep ready to play and with good care it will not need a trip to the repairman any time soon, with fresh pads that you can except to seal well and feel good for nearly a decade and without the need for any serious mechanical work for 50-75 years, thanks to the long-wearing nickel silver hinge tubes. 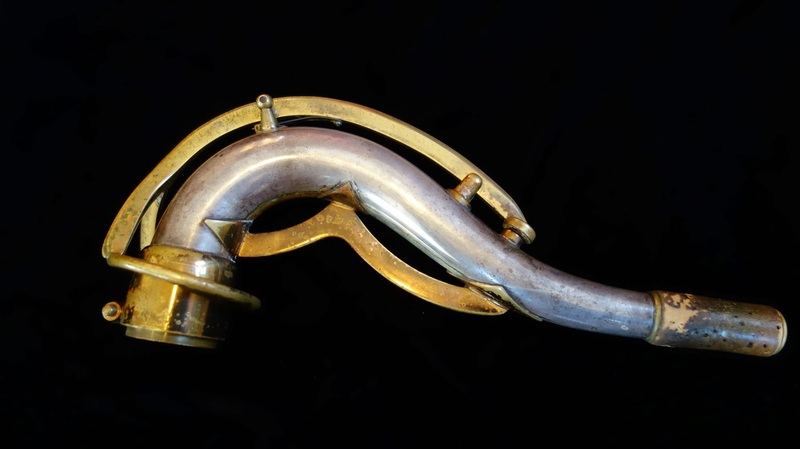 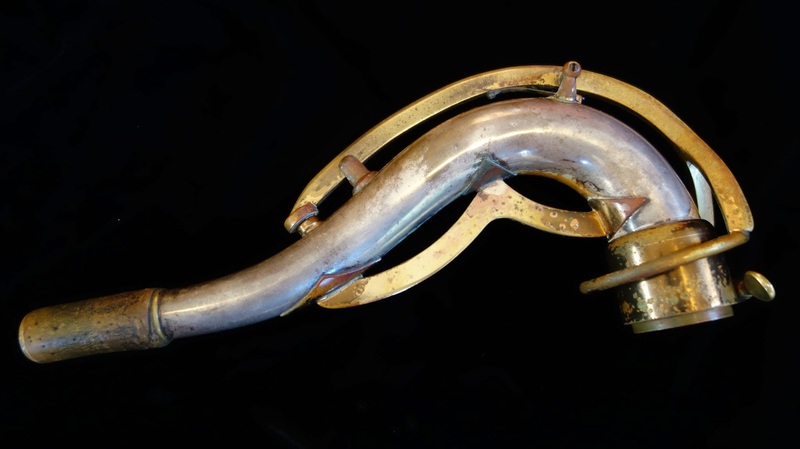 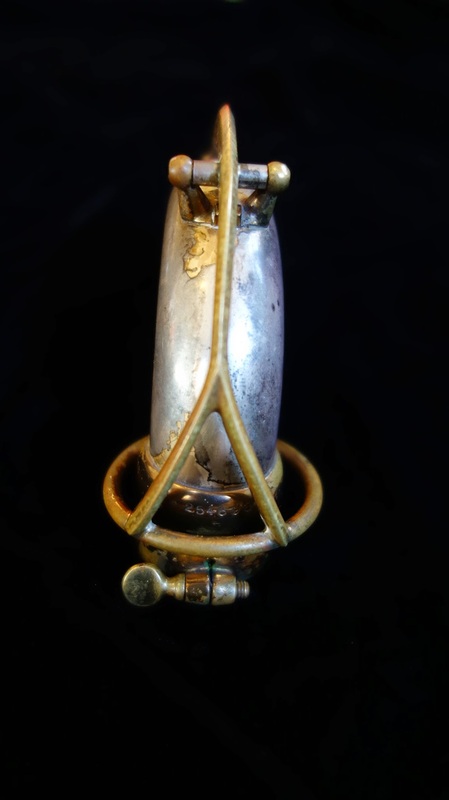 I love these saxophones, and whoever ends up with this horn is going to see why.